I am making a pair of these for a Christmas gift for the daughter of one of my best friends. 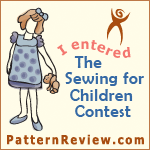 The pattern is from an old AS&E issue and the smocking plate from an old Sew Beautiful magazine. The floss is DMC but I can't remember the number. I'll look and update this post later. The fabric is a cotton sateen that I picked up from a fabric shop in Savannah called Fabrika. The pattern calls for doing a simple scalloped hem, but I wanted a little frill, so I stitched on some lace with a little entredeux. I hadn't used this method in I'm guessing 10 years or more. I definitely need some more practice with this technique. But I will add more projects to get the practice, because I'd forgotten how much I enjoy heirloom sewing. The entredeux is from Capitol Imports and the lace I had in my stash. This is so beautiful - I am sure she is going to love it! Your hem finish is gorgeous - it really completes the case perfectly.